Today PDF file format has become the standard for sharing read only version of files. The main advantages of a PDF document is its accessibility on multiple platforms and familiarity with the free readers. 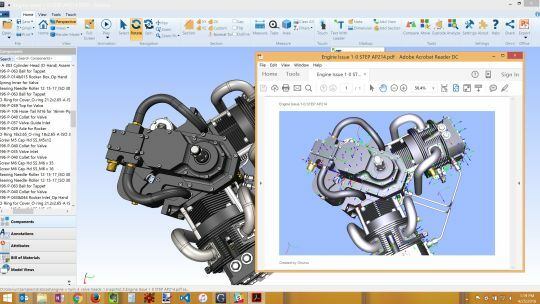 Generating 3D PDF documents from your 3D CAD files is a matter of few clicks in Glovius. Open a CAD file in Glovius, click on “Save”, top left in the ribbon bar. Choose PDF as ‘Save as Type’ and click “Save” to create a PDF from your CAD files. Check out this feature in our free trial or subscribe to Glovius for as low as $29/month.